From early days of the Clone Wars to the struggle between the First Order and the Resistance, leaders and troopers have determined the fate of the galaxy by joining the battle on the front lines. From the inspiring Padmé Amidala to the terrifying Captain Phasma, these soldiers take charge of battle, inspire their fellow troops, and lead them to victory. Convergence features an emphasis on cards that spot various subtypes on your field. For Red, this means greater attention paid to the troopers fighting battles in the field, and the leaders that push them to victory! 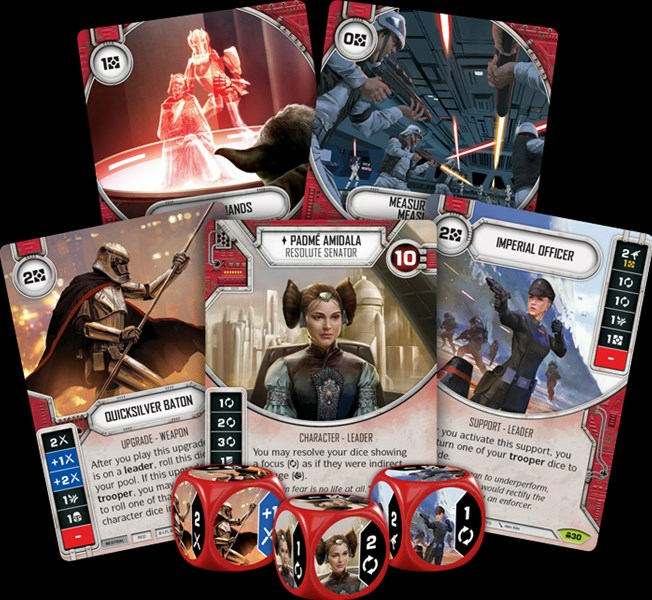 Join us today as we preview troopers and leaders in Convergence, a new set of boosters for Star Wars™: Destiny!